Perhaps it was serendipity that Robert Azzi, a Muslim American, came to speak on Monday night. 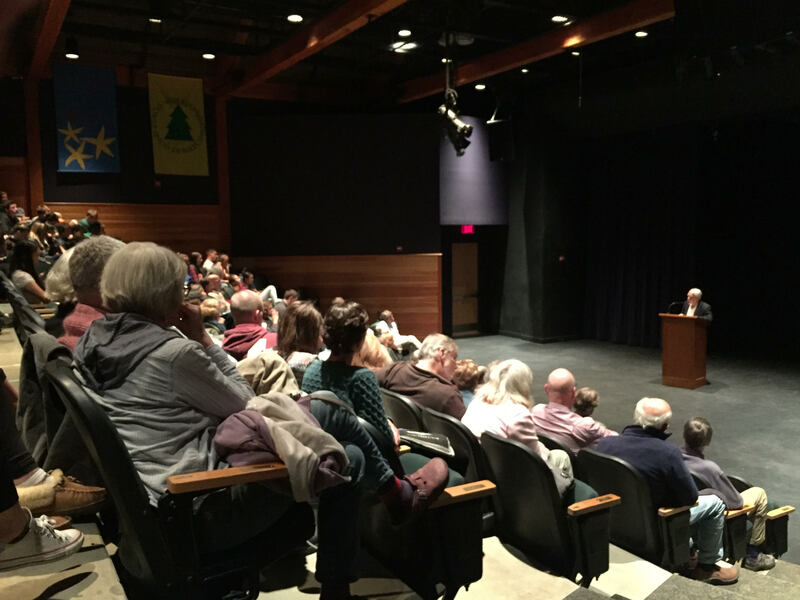 His arrival at the invitation of the Andover Library and Proctor also coincided with the first Presidential Debate between Hillary Clinton and Donald Trump. Mr. Azzi spoke in the Wilkins Meeting House, sharing his reflections about being a Muslim in the United States. Born in Manchester, New Hampshire, the son of a mill worker, an architect by training and a photographer and journalist by trade, Mr. Azzi lived in the Middle East for decades as a photographer and reporter, working for Newsweek, Paris Match, Fortune, National Geographic and other publications. He has been a Nieman Fellow in journalism at Harvard University, where he also served as a member of the Leadership Council of the Harvard Divinity School. He spoke for two hours, about the same amount of time as the candidates. 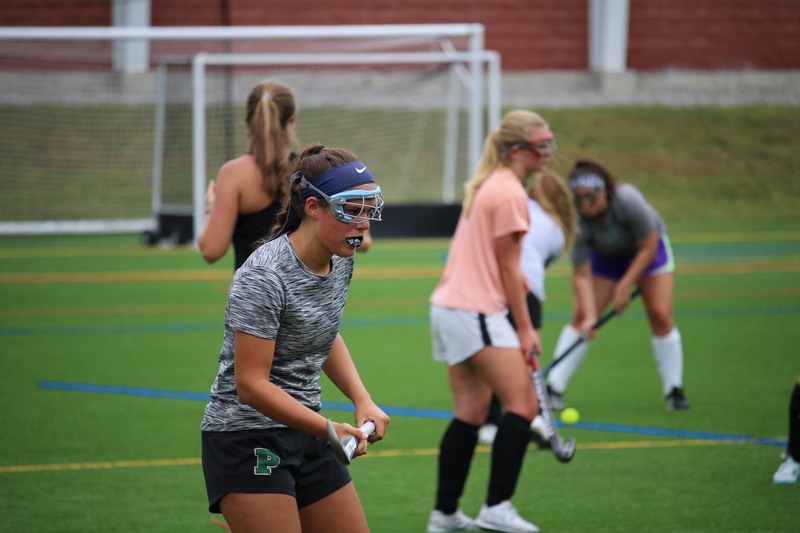 Proctor’s varsity field hockey team entered Wednesday’s home game against ISL foe Groton School determined to bounce back from their recent 3-4 overtime loss to New Hampton School. 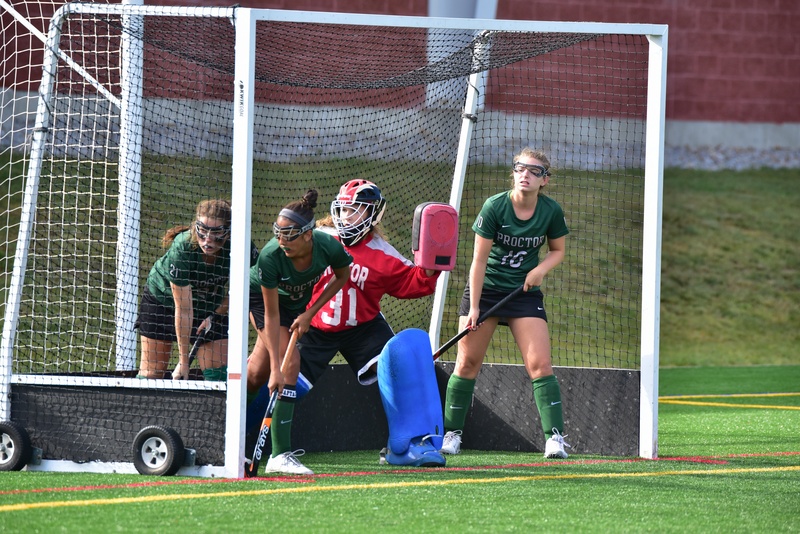 After Groton took a quick two goal lead in the first half, the Hornets had a choice to fold or dig in and fight back. They chose the latter, and notched one goal before halftime to cut the deficit to 1-2. After a halftime pep talk, the young, but experienced, Hornets tallied three unanswered goals to secure the 4-2 come from behind win, improving to 2-1 on the season. When Derek Beard ‘90 arrived on Proctor’s campus as a sophomore in the fall of 1987 he already had an affection for the outdoors. 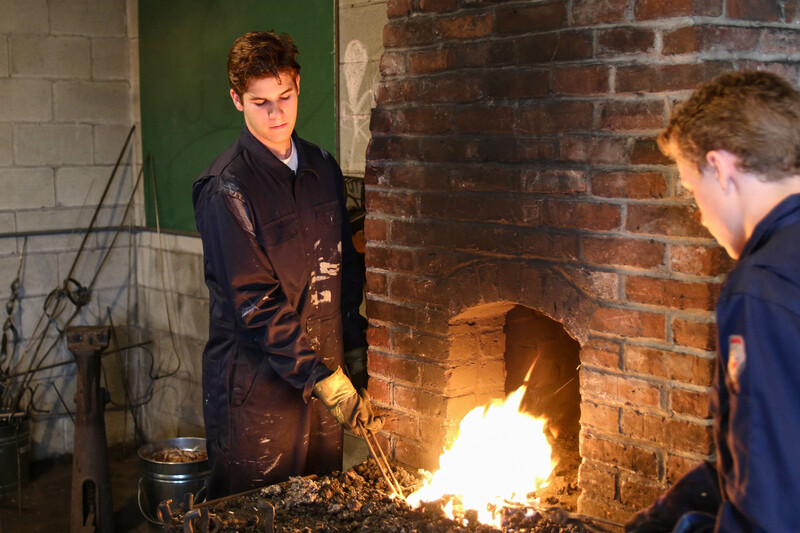 Growing up on a large plot of land in Connecticut, Derek loved to spend time exploring outside and felt fortunate to have parents who recognized and encournaged his love of nature. His forestry class with Dave Pilla during his senior year simply solidified that passion. 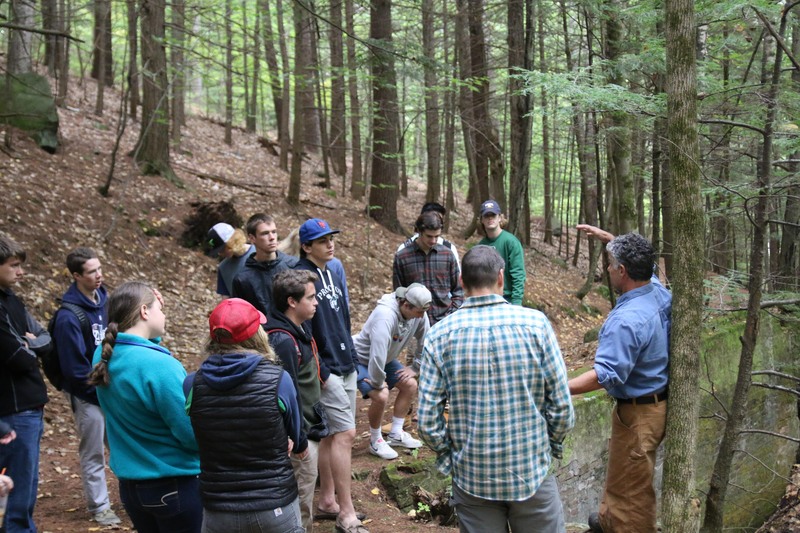 On Wednesday morning, Derek returned to Proctor's campus to share his professional work as a forester for the state of Massachusetts with another generation of budding Proctor foresters. Proctor's Ocean Classroom program set sail for the 23rd year out of Gloucester Harbor Friday afternoon. Each September since 1994, twenty-two Proctor students have boarded an authentic tall ship and learned to sail the 137 foot schooner. 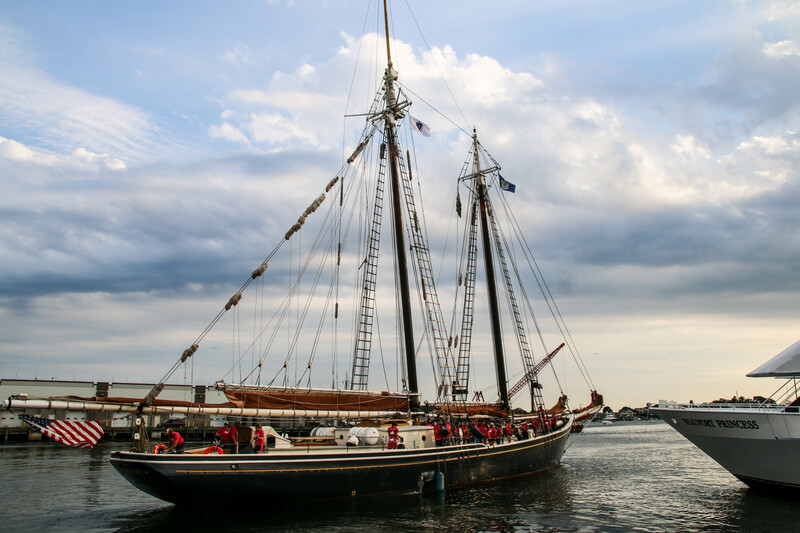 Over the past three years, Proctor's partnership with World Ocean School has afforded students the opportunity to sail with educators and crew aboard Roseway, a U.S. historic landmark. 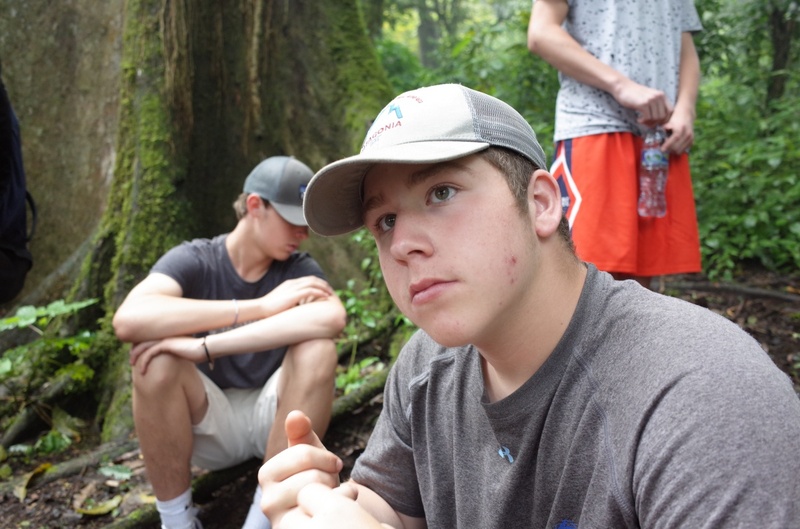 Proctor en Segovia: Oren turns 18 and other stories: an action-packed first fall post! The first week in Segovia has been a blast. Everybody is starting to become accustomed to their host families. 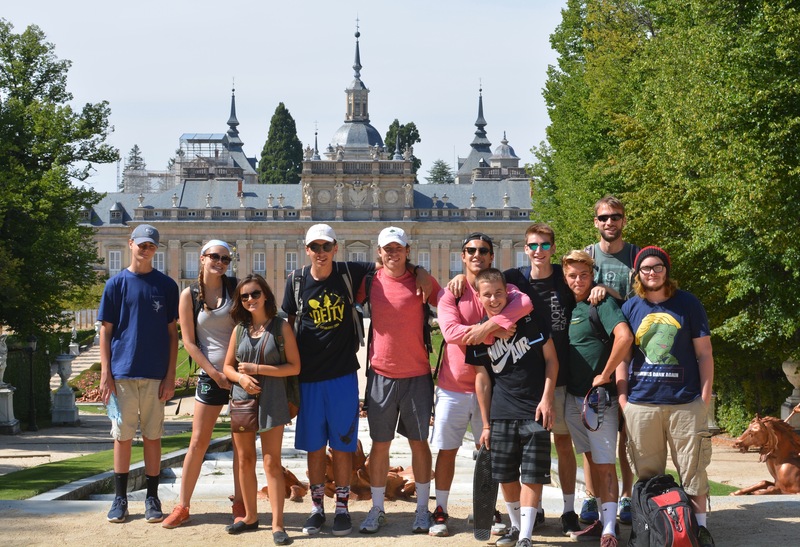 All of the host families are filled with amazing people who are all extremely excited about the opportunity to teach American students all about the culture and lifestyle of Spaniards. Every incoming 9th grade student is scheduled into Freshman Seminar. It’s a class meant to help them with the transition into high school, being away from home, and navigating this so, so different landscape. Its focus is helping students thread safe passage through the siren calls of distracting technology and the bewildering social landscape. It’s about the role sleep and nutrition play. It’s about taking care of oneself. It’s also a place to slow down, a quiet space away from the jangle of classrooms and dorms, a place to catch one’s breath. 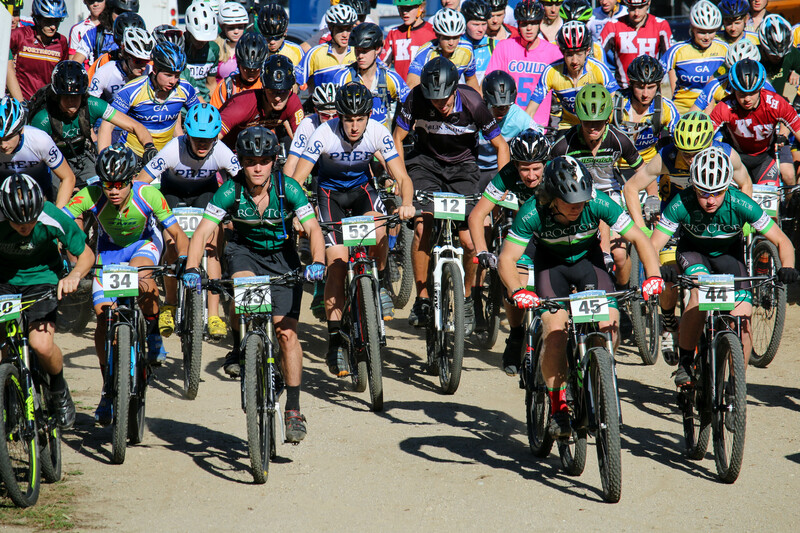 Proctor’s Mountain Biking team hosted its first race of the season when more than 250 riders from nearly two dozen schools around New England descended upon the Proctor Ski Area Wednesday afternoon. Highlights of the afternoon included Scott Johannen ‘17 earning a podium finish for the Boys’ Class A division and Dani Xu ‘19 winning the Girls’ Class C division and Proctor winning the overall team win. ANDOVER, NH (September 23, 2016) -- Proctor Academy launched a semester at sea program called Ocean Classroom in 1994, with a partnership with World Ocean School beginning in 2014. 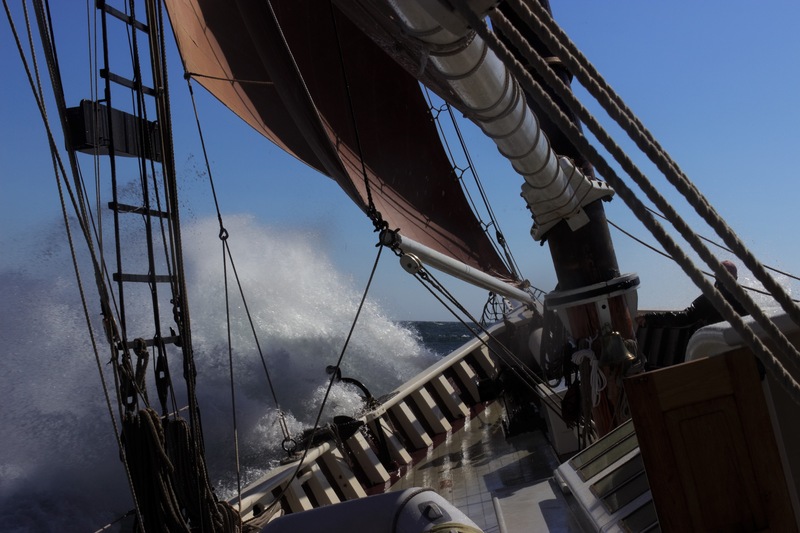 Each fall twenty-two Proctor students spend nine weeks aboard World Ocean School’s Roseway, a 1925 137 foot fishing schooner built in 1925 to an exceedingly high standard. Throughout her history, Roseway has represented the United States in international races, set a record of 74 swordfish caught in one day, protected Boston Harbor as a pilot boat during World War 2, and was named a U.S. National Historic Landmark. This fall, the Schooner Roseway will take part in perhaps her most remarkable act of her 90 years of service when she sails into Havana Harbor and becomes the first authentic U.S. Tall Ship to dock in Cuba in 57 years. As educators, we endeavor to simultaneously provide students with a sense of freedom and a sense of security. This quest for balance has challenged parents and teachers for centuries. Different generations have witnessed the pendulum of independence swing back and forth depending on the prevailing norms of the time. 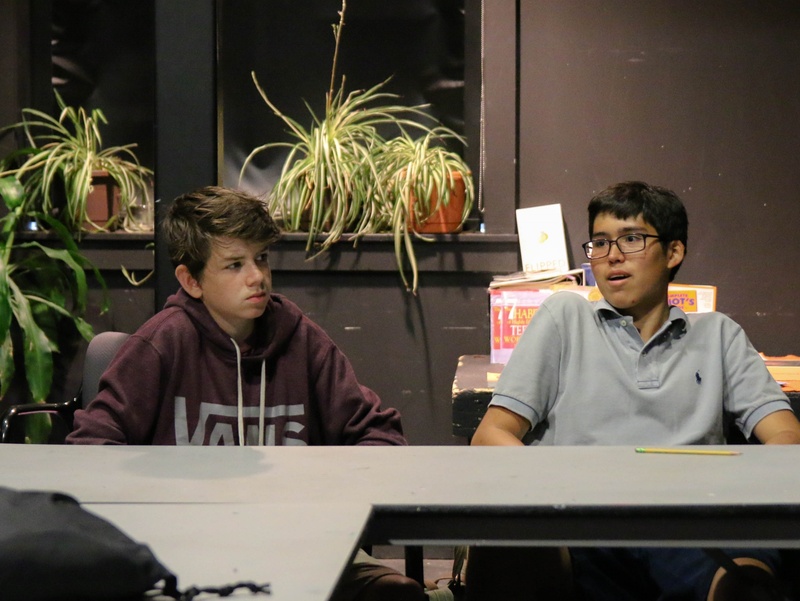 What we know at Proctor is the adolescent brain biologically craves independence, but is only able to pursue that independence when surrounded by a nurturing community. The mountains already seem distant. The bottomless swimming hole on the Cold River, the wind and view on the ridge leading up to Sandwich Dome, the rolling thunder on Sunday morning near Pond Brook – it all fades after the first few days of the campus schedule. Classes, assemblies, sports, the new Dining Commons, the spectacular weather, dorm meetings, advisory meetings – this is the new rhythm. We are biased (all schools are), but each year we witness the genuine kindness of our students as they embrace new members of our community. This visible demonstration of compassion affirms the example we try to set as adults in the community, and leads to a remarkably steady, positive student culture on campus. Social groups transcend teams or afternoon activities because of our focus on intentional small group experiences in dormitories, advisory groups, and off-campus programs. Proctor’s Big Brother/Big Sister program reinforces this same message of compassion by pairing returning students with new students in a mentoring relationship. Proctor’s start to the school year is probably more staggered than most schools. 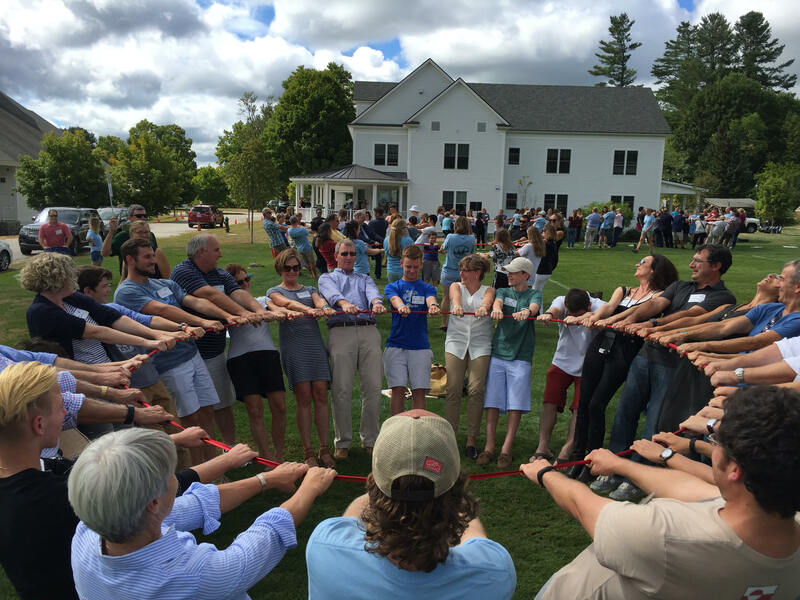 The sequence of faculty/staff meetings, International Student Transitions Program, Wilderness Orientation, and Preseason Sports Camp culminates in a busy Sunday afternoon before the start of classes when the entire community joins together on campus for the first time. Roughly 130 students have spent the past four days training for their respective fall sports during Sports Camp. 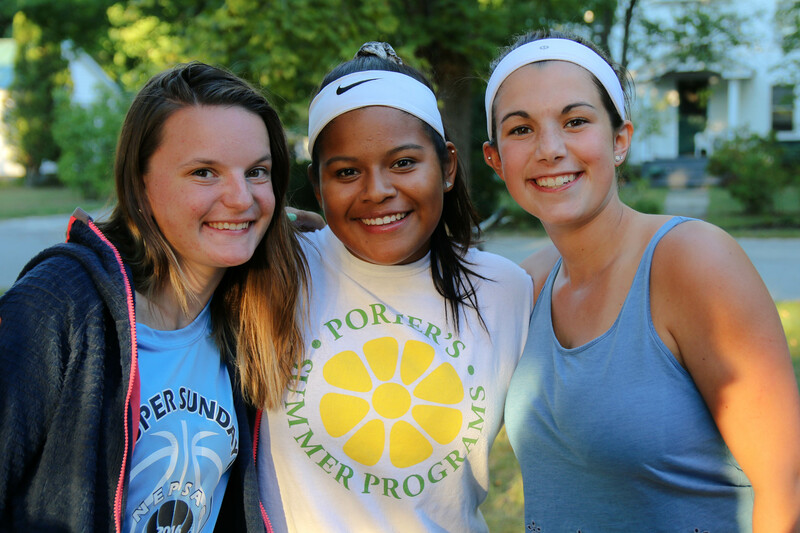 With the addition of a crew program this year, Proctor’s Preseason Sports Camp offerings now include seven different sports (boys’ and girls’ soccer, field hockey, football, mountain biking, cross country running, and crew). Triple sessions over the course of five days can be exhausting, but the individual and team progress made during the week has been outstanding. Wilderness Orientation 2016: They're Off! 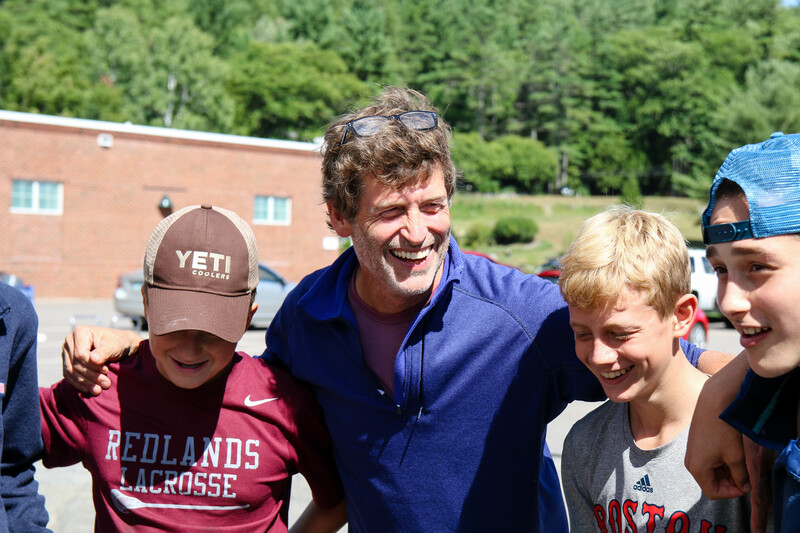 New Proctor families gathered on campus Tuesday before Wilderness Orientation groups departed for five days of hiking and camping in the White Mountains. Proctor’s deep commitment to beginning the year in this fashion may make some families uncomfortable as they watch their teenagers step into the unknown carrying a 30+ pound pack, a sleeping bag, and tarp to sleep under, but we know Wilderness Orientation is the best possible way to start at a new school.